FASHION SHOWS AND CONCERTS ARE JUST AS MUCH ABOUT THE SOCIAL EXPERIENCE AS THEY ARE ABOUT THE SHOW. HOW DO YOU TURN THAT CONVERSATION INTO SOMETHING REAL THAT SPEAKS TO THE EVENT? BY MAKING FASHION OUT OF THE SOCIAL FABRIC. The challenge we faced was to create a garment in real-time that reflected the social conversation around Verizon Fashion Rocks during NYC Fashion Week. 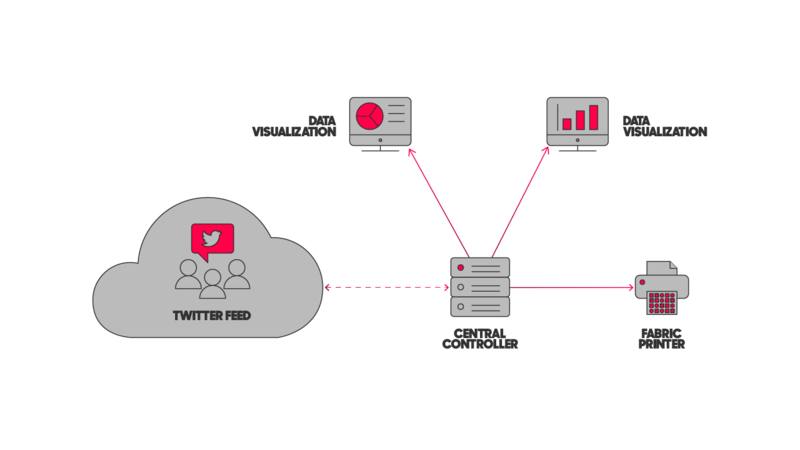 Automata was tasked with creating an integrated system that monitored social activity and translated it into a data stream and ultimately fabric. 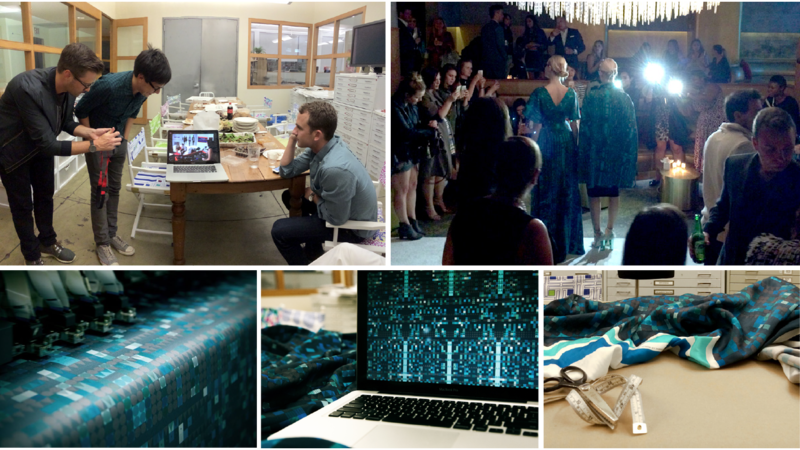 We worked closely with our client and Designer Christian Siriano to create an entirely custom system to interpret Twitter data as beautiful generative patterns. These patterns were built in real time both on displays backstage and on the project website. Then, as each row of the pattern was created it was post processed and sent to high-end fabric printers where it was printed onto silk charmeuse. Two weeks after the concert Verizon and Christian Siriano held a runway event where they debuted two dresses created from the fabric.